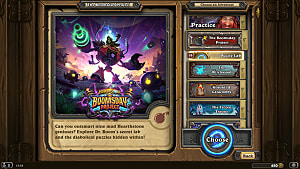 Making a deck in Hearthstone is fairly straightforward for long-time TCG/CCG (trading card game/collectible card game) players, but those new to the genre drawn to Hearthstone by the Blizzard name may have difficulty building up an effective deck. 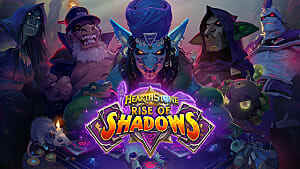 This guide is for those super-beginners with no card game experience looking for some advice in getting a deck in order. 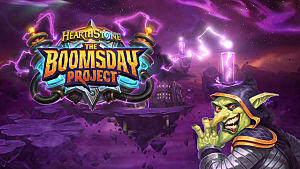 New players may be entertained with the default class decks the game provides, but let's face it: Half the fun of CCGs is building your deck, and that can be intimidating for someone new to card games. I am by no means all that great at Hearthstone. I play for 30 minutes to 3 hours a day and am somehow sitting at Masters 1, despite not being all that great and primarily playing with a gimmicky Druid deck. If I can do it, anyone can. You will lose. Probably a lot. Even if you build up what you find to be your perfect deck, chances are you are going to run into opponents who use strategies you never would have thought about. This isn't just an issue for new players, but something anyone of any skill level goes through when building a deck for a TCG/CCG. There are going to be things you can't account for in the initial deck-building process, whether particular strategies or cards. You have to roll with the punches and be willing to accept to defeat, learn from your mistakes, and tweak your deck's weak points as needed. Anyway, let's take a look at some of the points mentioned above, one by one. Don't worry! I won't cram too much in here. If you want more in-depth information on these topics, it will be coming at a later date. This is the first step to building an effective deck. You could slap a 40/60 spells-to-minions ratio deck together and call it a day, but you will get much further starting with a basic idea of what you want to be able to do and working around it. A simple deck built around Imp Masters. The most basic way you can do this is take a card that is particularly unique and build your deck around it. You need to have cards that support that card's effects, keep your opponent on their toes, and supply you with what you need (drawing cards or health, for example). This is something I will go more in-depth into with another article. For now, remember: Have a cohesive idea of what you want to be able to do when you begin creating your deck. This is simple: Do not stack too many high or low mana cost cards in your deck. As each turn passes, both you and your opponent are getting increasingly more capable. You both start with one mana and each turn brings one more to your pool, giving you more play options. 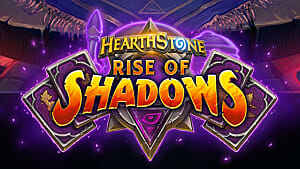 With a fairly even distribution of low to high cost cards, you are able to stay relevant as mana costs grow higher. The higher the cost, the more powerful a minion or spell is. Mouse over the hero portrait to see your cards' mana costs. Why not amass low-cost minions? This is something a lot of new players default to because, hey -- the more you can play the better, right? That works out for a time during a match, but it becomes problematic as you and your opponent climb in mana and they are playing more powerful cards while you're still playing 2-drops (2 mana cards). 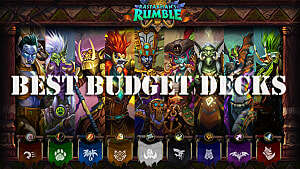 Some strategies require the use of primarily low-cost minions, but be wary of going this route if you are not running one of these strategies. The reasoning for not piling up higher cost cards is even more simple: The higher the average mana cost of your cards, the weaker you will be during the early stages of a match. Why take damage when you don't have to? Build a mana-balanced deck relevant from turn 1 and beyond. This sort of ties into coming up with a strategy, so I won't touch on it too much here. 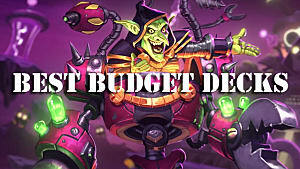 You need to be able to evaluate your minions and determine whether they're really worth their cost. 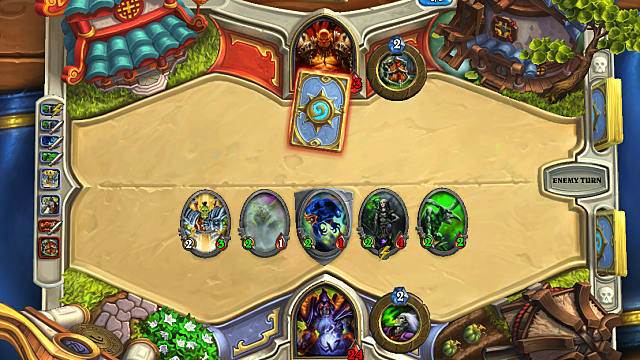 In Hearthstone, every card matters because of the small deck size. Every card must go with you want to do, and choosing minions is the most difficult aspect of this. When looking through minions, be sure to carefully consider their mana costs, health, attack, and abilities. Sounds like a no-brainer, right? Well, not so much. Because every card is valuable, you need to take every tiny number into consideration. Are you going for a more aggressive deck and looking for a 1-drop minion? If so, you may want to prioritize those with 2 attack and 1 defense, plus an additional ability (Leper Gnome, Abusive Sergeant, Murlocs, etc.). This is something you need to take into consideration from start to finish as you build your deck, at all mana costs. 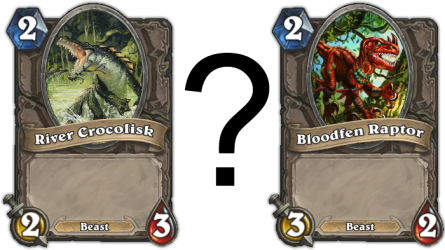 The differences between minor cards such as Bloodfen Raptor and River Crocolisk may seem negligible at first, but there is a huge difference between 2 and 3 attack, and 2 and 3 health. Don't let the small number differences fool you! If you have too many spells, you may not get minions often enough to defend yourself and attack. If you have too many minions, you won't be able to support yourself and your minions as a match goes on. The balance between minions and spells is a delicate one, and it's not something I can give direct advice on. Every player has their own advice for this, and no two decks are the same. While you may initially inclined to go 50/50 on your spells to minions, after spending some time with your deck you may alter it to be more inclined one way or the other. This is something you will not be satisfied with right out the gate. Ever. How do I deal with X? I'm not going to go into direct counters here, it is a long and slippery slope. I will be covering this in detail in another article at a later date. 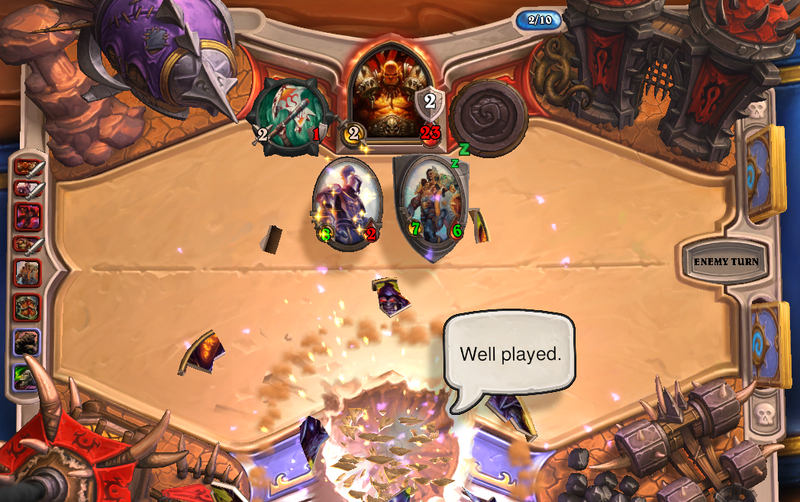 Hearthstone is sort of like a traditional TCG/CCG, but compressed. Because of this compression, you really need to be able to cope with what look like overwhelming situations in a match. This is where your spell cards come into play, and is what makes them so valuable. 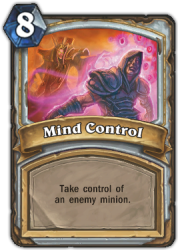 Would you be able to deal with a Priest who has used Mind Control on your strongest minion? Could you deal with your opponent having 3 minions with taunt on the field? How about enemy weapons? Things like this are something you need to keep in mind, but unfortunately it isn't something a new player can do so easily. This comes with familiarity, learning from your mistakes, and thinking a bit outside of the box. 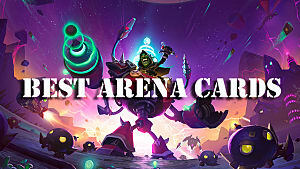 Your opponents can use the game's mechanics against you, and in time you will be able to do the same. I've said this at least twice earlier in this article, and I will say it again: Every card counts! 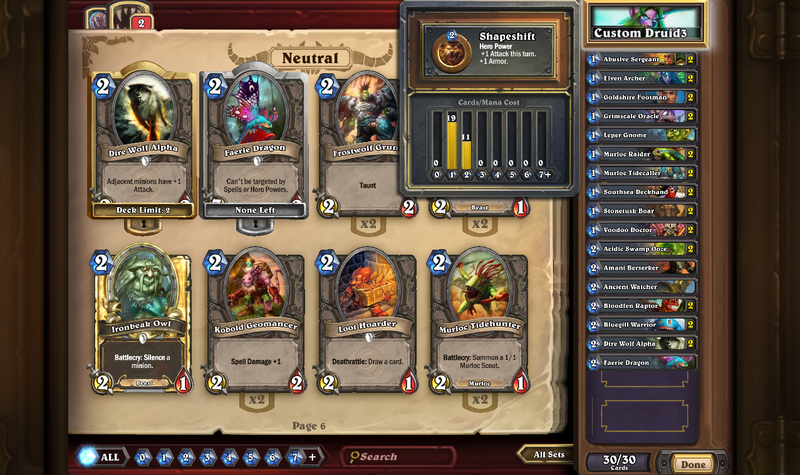 As I mentioned in the section above, Hearthstone is sort of compressed in comparison to other CCGs. What this means to you when building decks is that you need to make the very most out of those 30 card slots. Every card needs to have a purpose, which is why you must choose carefully. This isn't something new players can do so easily because there certainly are quite a few Rare, Epic, and Legendary cards that outclass Basics and Commons by a mile. There's nothing you can do about this, but you can work with what you've got. Getting to know your minions is a big part of making every card count. 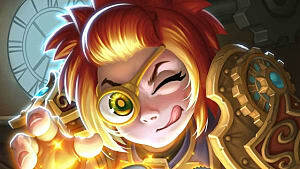 While you don't need to ponder over every potential opponent you will come across when choosing your minions, you absolutely want to have minions in your deck that work toward your strategy, and you need to choose them carefully. Go forth and lose! Then win! Combining all of the above, you may be able to create a deck that works for you -- but don't get frustrated if you lose a few times. 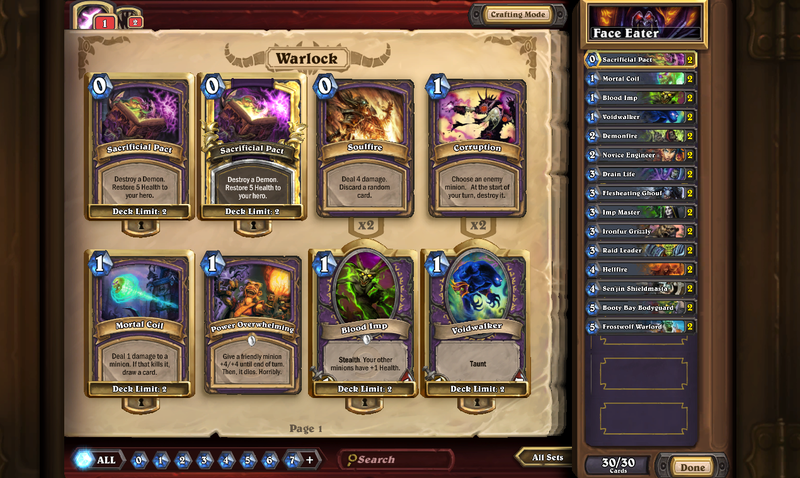 Part of creating a deck is testing it and altering it to be a more efficient winning machine. And see this less often. As you begin playing Hearthstone, you may be inclined to take one of the default class decks and alter them a bit. 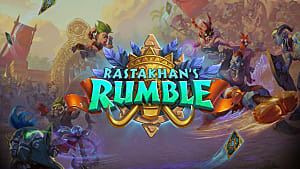 This is highly recommended (sans the Druid deck) because you can get a hands-on example of what it means to build a deck around a strategy, even if the strategies presented in the default decks are simple. And with that, we are all done here. I will be writing more in-depth articles on many of the topics presented here over the next week. Go forth, lose, and then win!